Great UX and elegant UI is essential for engaging a mobile app. 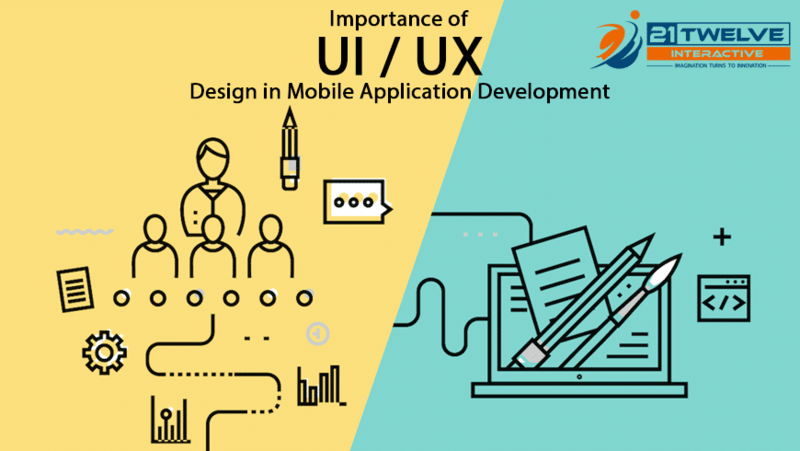 The importance of UX and UI design in Mobile Application Development can’t be overlooked as more and more users are shifting from websites and moving to mobile apps. Let us share some points about the importance of UX and UI design in mobile app development with you. User Experience and User Interface are of the core parameters that make an app successful or failure. Mobile apps that are designed without putting efforts and work on UX and UI may fail to provide a satisfactory experience and may fail in attracting new users. What is User Experience Development? What is User Interface Development? UX Development is the process of improving your user’s overall experience when they interact with your mobile application. Main objective or primary goal of developing an excellent UX is to be able to achieve maximum customer satisfaction. 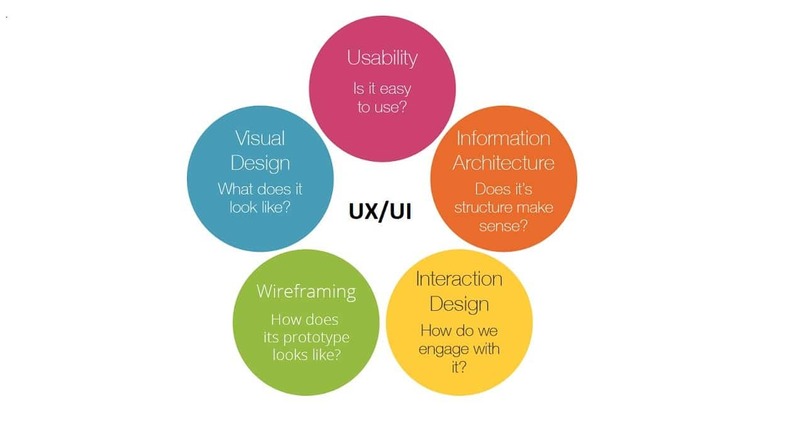 UX is customers centric in nature and provides the basic skeleton of your mobile application. While developing UX, the main focus is on wireframing and structuring all components of the mobile app and its elements. A user persona is one of the critical aspects to consider. 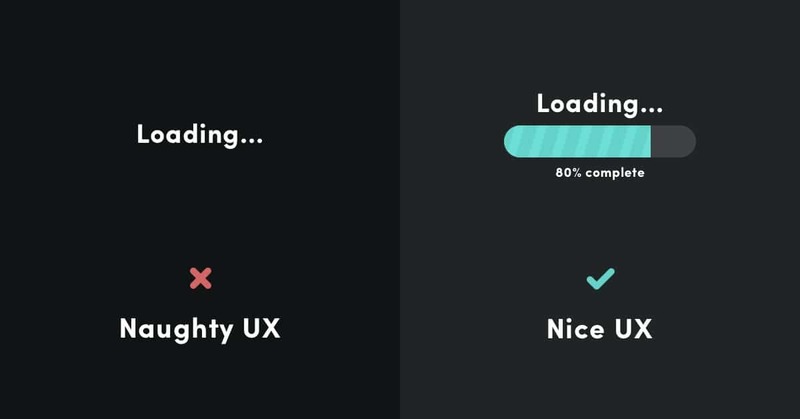 Check the above image to see the difference between a good UX and an excellent UX. Read more – How to improve eCommerce user experience in 2018 for your eCommerce website? User Interface design is the art of presenting your application in the most elegant way possible while maintaining the interactivity of your mobile app. 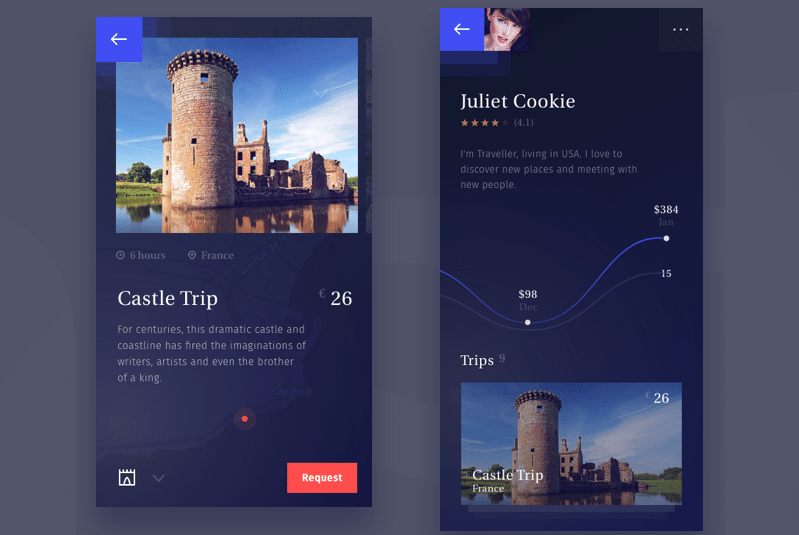 The main focus of UI design is defining a look and feel and how it interacts with your users. Every visual element you see while using an application are part of the User Interface. One of the main aspects that define the significance and importance of UX and UI design in mobile application development is providing your end-user with a pleasurable experience with an appealing and engaging user interface. A primary reason for giving such importance to UX and UI design is their impact on business. UX and UI in the mobile app perform a vital role in achieving business goals, improve the reputation of your brand and generate more engagement and leads and revenue from your mobile application. To accomplish these a significant amount of efforts is needed to be given on User Experience and User Interface. A meaningful and natural human to mobile app interaction is the goal of UX. It captures users’ attention and deals with the customer’s emotion. Great UX increases customers satisfaction and sales. The first thing is to capture the attention of the customer. Different people have different preferences and perspectives, UX can be considered subjective. However, most of the audience is pleased with universal best practices. UI is a tool that can transform the ideas into a working product, UX showcases right strategies such as user persona, information architecture, analytics, and visual design. Visual design includes defining your brand. Visual design has the power to make a significant effect on your customers. Thus, it is a highly influential component of UX and UI design. Visual Design isn’t just about selection the best-looking images, suitable color scheme, fonts, and icons; it also includes how the application appearance makes an impact on the user. Usability directly relates to the user-friendliness of your mobile application. Usability also includes how the application handles the errors and how the errors are appropriately displayed to the user. One of the main components also includes how easy it is for the first time user to get familiar with your mobile application. Information Architecture focuses on satisfying business strategies. Information Architecture aims to provide easy navigation to users. IA also includes the best way of representing the top-level menu. Crafting the conceptual design with which your users will interact comes under the umbrella of Interaction Design. First, we will need to analyze how your user will interact and based on that we will define the design. Aesthetics, motion, sound, graphics and various others are described in Interaction Design. Have you ever seen a human skeleton? We can say that our skeleton is our wireframe! Same way wireframing in mobile application development us defining the skeleton of your mobile app. Wireframes are designed based on user needs and user journeys. Based on that content and functionalities are laid out. Let us share some mobile app design guidelines with you which will allow you to improve the UX and UI of your mobile application. You can consider it as mobile UX design principles or mobile app design best practices. You should define a standard for use of colors, symbols, font style, and icons. This will ensure a consistent identity across all the platforms. Make sure that elements are elegant yet simple. A new user should not be facing a learning curve to use your application. As per recommendations by Apple for user interface design for mobile apps; an approximately 44-pixel square is an appropriate size for a touch. You should build your application considering this aspect and ensure that while the user is clicking on any button or icon; he or she must not hit another element together with it. Make toggling and navigation easy and simple for users. Speed is an essential aspect of mobile user interface design principles. Users always wish to complete a task in an application as early as possible. Thus, they prefer an application with a short loading time. Ideally, an application should launch within 3-5 seconds. The longer the loading time your app, the higher the chances of your user moving to another app. An application built with the focus on UX and UI should keep in mind the target market. Your target audience should find the app valuable and should satisfy their needs. You will need to conduct market research to create an app that meets the needs of your target audience. Market research will allow an understanding user, and because of that, you can come up with an app that solves their problems. A great design enhances your customers’ experience. It will make your customer satisfied with the services or features provided by your application. A satisfied client will become loyal to your brand and may also recommend your app to others. This will lead to an increase in the ROI of your business and an increase in the customer base too. As we talked that investing in UX and UI design increases customer satisfaction and results in happy clients. People like working with brands that make them happy. Customer satisfaction increases the credibility of your business as well develops a good relationship. This will grow the value of your company and your brand. Once you have invested considerable efforts and resources in UX and UI of your mobile application’s development, chances of having a significant change in that will become minimal. Such mobile application development projects won’t require frequent upgrades. This results in a lot of cost savings and time savings. The main factor for success in this digital era is to be able to reach out to more and more audience. After you gather the audience; the User experience and User Interface comes into play. If you have managed to achieve 100k+ downloads on your mobile application but your app isn’t looking great or not solving user needs most efficiently; the user may start moving somewhere else. Providing best user experience means you are delivering the best quality services which in return helps to growth your business. You can with your customers and attract more and more target audience with help of excellent User Experience and User Interface. This is one of the main benefits and signifies the importance of UX and UI design in mobile application development. Your mobile app or even your website is a representation of your brand. It showcases how much you care about brand identity. Attractive designs combined with innovative features will help you to move ahead of your competition in this fast-paced digital world. The essence of User Experience and User Interface design to showcase an intuitive design to users and win them by providing an optimized experience. 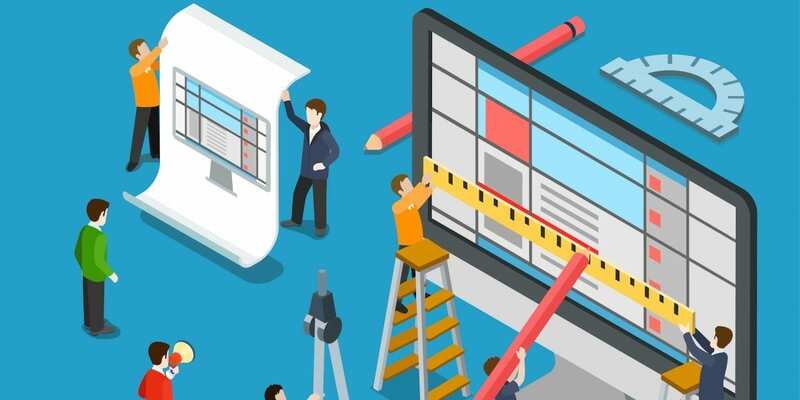 UX and UI may seem like one small component of your whole business. In reality, UX and UI combine has the ability and power to boost your business. Future growth is achievable if you manage to master the art of UX and UI. UX and UI Development play a significant role In Mobile Application Development. From a business point of view; UX and UI focus on user satisfaction and pleasure. It is important to consider user needs and provide them with a satisfactory experience to build the brand value and reputation of your business. UX and UI design can grab consumer attention and can generate more revenue from the company’s products. Hence UX and UI have become a significant part of today’s businesses. UX deals with customer acquisition, satisfaction, and retaining customers. When you are dealing with UX, you are dealing with different people having different needs and mixed emotions. Acceptance from your users is very crucial for any product or service. Businesses which manage to create positive user experiences can achieve a huge number of loyal customer base. We must not forget that; a satisfied customer becomes an advocate of your brand. The brand which offers high levels of usability in their products and services are more likely to be recommended to user’s friends and family members. 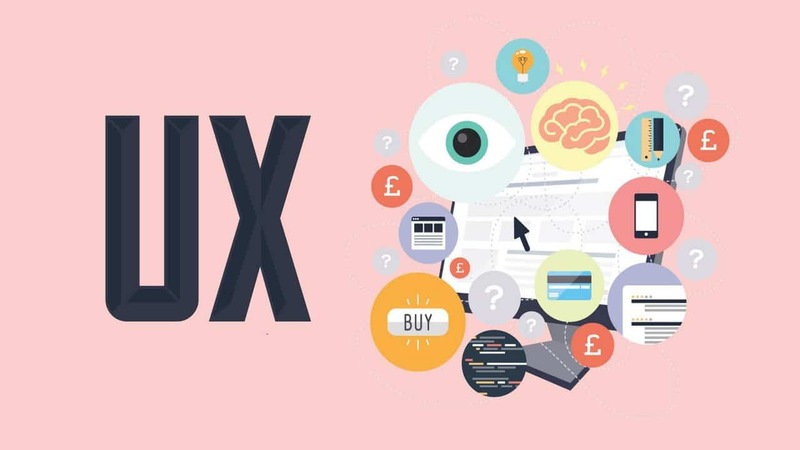 We hope that this article will help you to understand the importance of UX and UI design in Mobile Application Development. You must build the UX before UI to achieve a satisfactory customer experience. Building and following mobile app design guidelines will ensure that UX and UI are in-sync and work hand-in-hand to provide a great experience and ease of use to users of your mobile application. Working with an experienced development consultancy is an effective way to ensure that there are no UX and UI gaps in your mobile application. We are one of the top mobile app development companies in India. We offer mobile application development services in India and around the globe. Our area of expertise also includes custom mobile app development.